Away from the bright lights of the Geneva Motor Show comes the introduction of the 2012 Chevrolet Colorado at the Bangkok International Auto Show. Bet you didn’t know that, did you? Weird as it looks to have an American mid-size pick-up have its debut at an unheralded Asian auto show, it’s worth noting that Thailand just happens to be the world’s largest market for mid-size pick-up trucks. Bet you didn’t know that either. Featuring Chevrolet’s new design language, the new Colorado certainly looks the part of a heavy-hitter in a mid-size pick-up’s body. 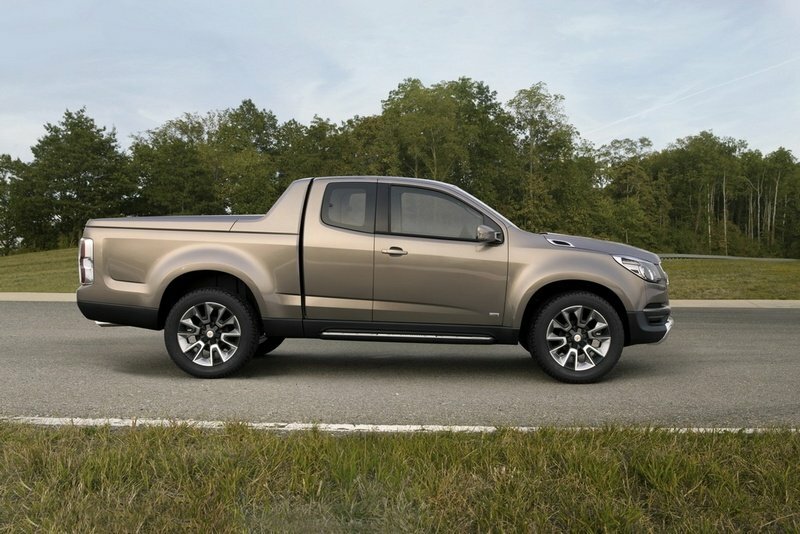 But the bigger question surrounding this pick-up doesn’t have anything to do with its aesthetic or performance specs, but rather on the possibility of the Colorado being sold in the US. Chevrolet has given no indication on that matter yet, but since the Silverado is the only pick-up on Chevrolet’s roster, it might make sense for the US market to be given a choice on which Chevy pick-up they might prefer. Details on the Chevrolet Colorado after the jump. The Chevrolet Colorado has been given a Pepperdust Metallic exterior paint finish that has been accented with polished aluminum details on the fascia. There are also integrated side steps and black-masked projector-style headlamps that have LED lighting elements. At the back of the truck, there’s a full-width LED-lit tailamp that strikes an imposing presence in and around the tail of the car when it’s illuminated. 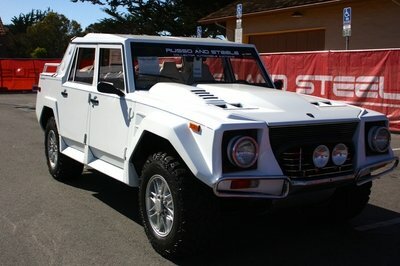 Other items worth noting include a streamlined “cab collar” design with a body-color hard tonneau cover on the bed, gray accents on the front, side, and rear lower moldings, side mirrors with LED turn-signal indicators, and a set of 20” aluminum wheels with a liquid metal finish and Stone Gray color wheel ports shod on a set of Cooper 285/50R20 ZEON LTZ tires. 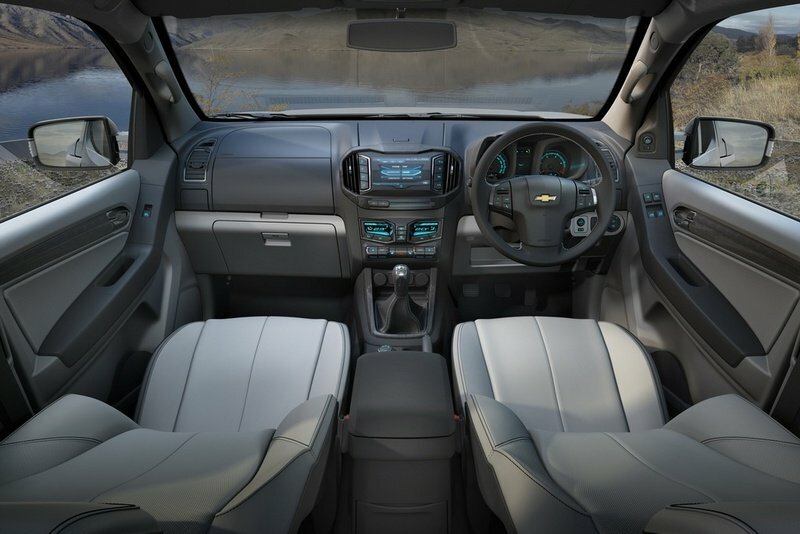 The interior of the Colorado also comes with an unmistakable Chevrolet design language. There’s a dual-cockpit instrument panel whose continuous lines create a wrap-around effect, giving the entire cabin a spacious feel. The overall space is accented by an ice-blue lighting and double-faced leather trimmed seats. The aforementioned instrument panel comes with motorcycle-inspired, three-dimensional gauges, providing the look of sportiness and rugged aggression. The light-colored seats make a nice contrast to the dark wood trim and accented with chrome and low-gloss and soft-touch materials, giving the Colorado’s cabin a luxurious environment mixed with all-around utility in the form of storage compartments found throughout the interior, including a large, dual glovebox and a covered center bin that can be used for whatever knick-knacks the owner might have. Other features include a digital climate control system that comes with a state-of-the-art infotainment system, highlighted by a 7” LCD display in the center stack. 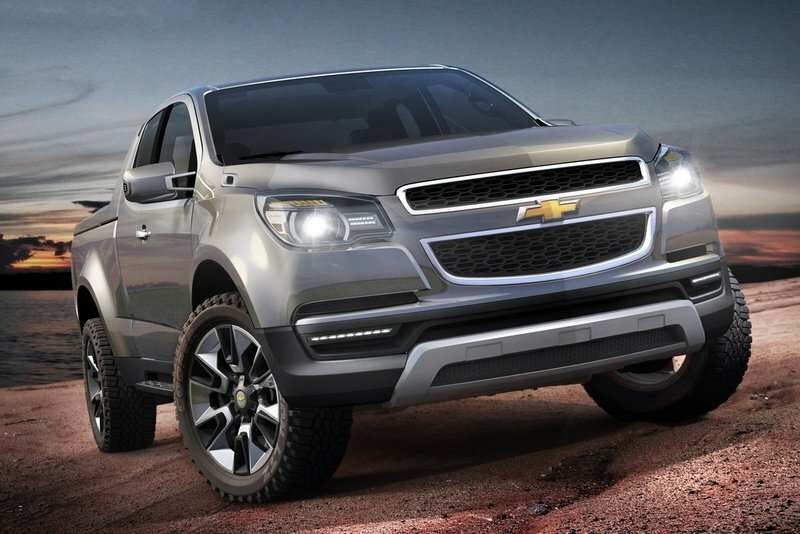 Chevrolet has not yet revealed the performance details on the new Colorado. It’s worth pointing out though that Chevrolet did say what kind of powertrain the pick-up is going to have - a 2.8-liter turbo diesel engine - except that the output numbers have been left in the dark. So to provide a little perspective on what we could be in store for, the current generation Colorado has a few engine options, including a 2.8-liter I-4 producing 185 horsepower and 190 lb/ft of torque, a 3.7-liter I-5 that produces 242 horsepower and 242 lb/ft of torque, and a range-topping 5.3-liter V8 that produces 300 horsepower and 320 lb/ft of torque. Maximum towing capacity of the Colorado reaches all the way up to 6,000 lbs. 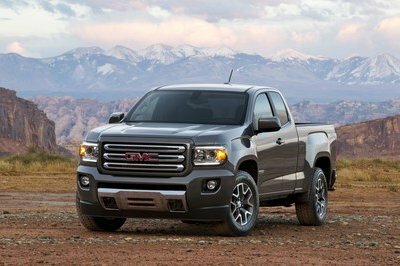 Like the performance specs, prices for the Colorado were not announced. 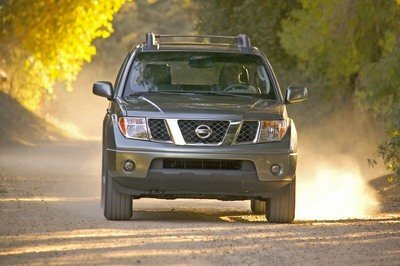 Needless to say, the 2011 Colorado - the current-generation model - comes with a base price of $17,045 and going all the way up to around $29,000 for the top-of-the-line version. Just to be clear, though: these prices are not the prices for the 2012 Colorado, but of the current generation version that’s out on the market today. Given that Chevrolet decided to keep mum on the performance details, it’s hard to measure just how the new Colorado stacks up against the competition. Having said that, there are a number of other mid-size pick-ups in the market that can be considered as worthy rivals, including the Dodge Dakota and the Ford Ranger. 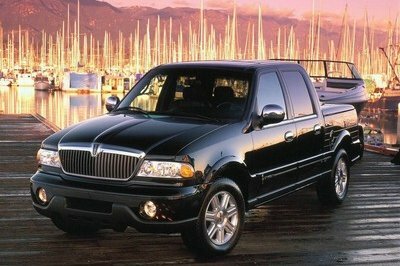 The Dodge Dakota comes standard with a 3.7-liter Magnum V-6 engine producing 210 horsepower and 235 lb.-ft. of torque. The engine also comes with Electronic Throttle Control for positive throttle response, and exhaust gas recirculation to help lower emissions. Meanwhile, the new Ford Ranger is powered by a new 3.2-liter, Ford Duratorq TDCi I5 diesel engine that produces 198 horsepower and 346 lb/ft of torque. Keep this figures in mind when the performance details of the new Colorado are released. 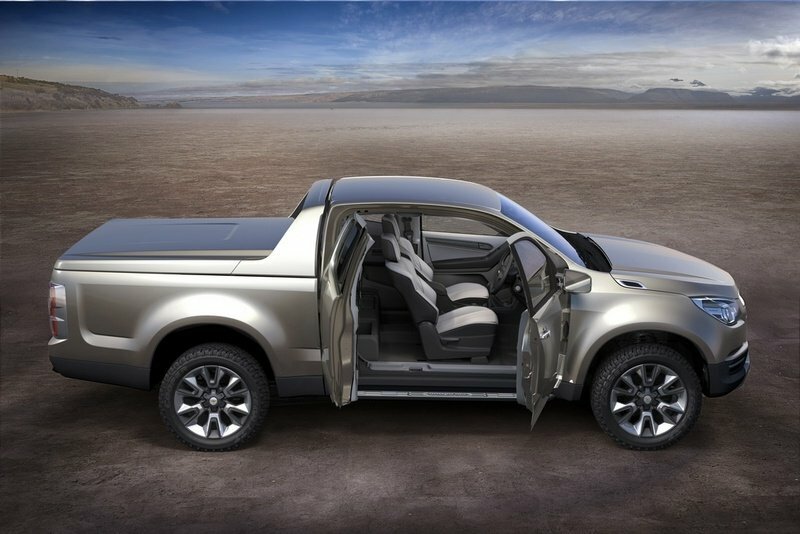 Something tells us that the folks over at Chevrolet are working hard to ensure that their new mid-size pick-up has superior numbers than its competitors. The new generation of Chevrolet Colorado comes with a more aggressive look. It has also a more spacious interior with lots of high-tech goodies. This compact/midsize pickup comes with three-body styles; regular, extended with rear access door and crew with four typical doors. This is best for family who wants adventures in their ride. 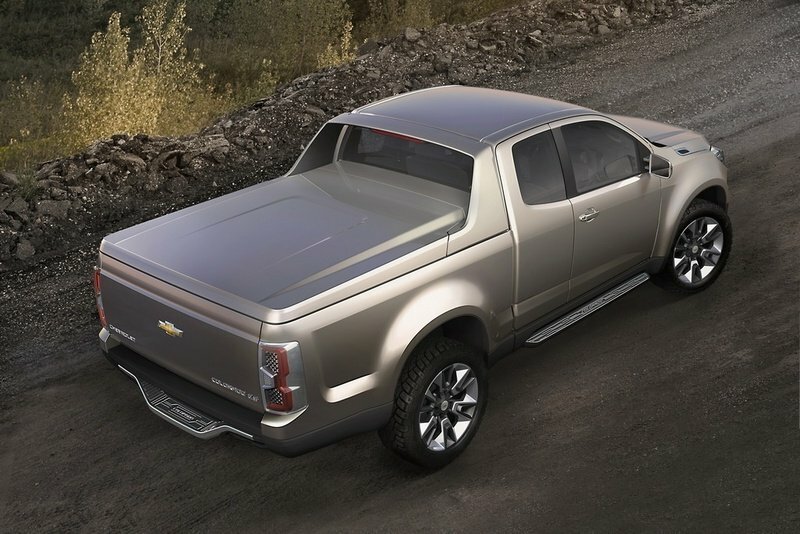 Chevrolet Colorado looks great with its silhouette muscle that other compact trucks don’t have. I love the way the doors open. Classy and elegant pick-up truck. Nice furnishing paint it gives more attraction. These result a good development of Chevrolet. Well a good market selling for this car is best thing to hear. The pepperdust metallic exterior body paint of this one, was absolutely looking so great on it and the projector-style of its headlamps that had a LED lighting element was really sounds so great! Colorado was oozing with angst and aggressiveness on its front design, and it looks so massive on its platform but it is really weird to see an American mid-size pickup car but at the same time I am so impressed with it. So ideal in an adventure and I noticed its cool interior. It looks very cozy and relaxing, though this picked up car is so simple I still find it very impressive. I love how the door open for me, it is quite impressive also just like their rally concept. Well, I’m really excited with the market production of the two. The truck is kind of in a longer base.. The styling of the car is not that impressive for me. And they haven’t reveal the speed performance yet, I wonder if this car has made it into production or not? As expected, this new Colorado would get the same features as the previous model. Though that is not really all that bad, since its predecessor really did well. But in the third picture the steering is actually in the right. BTW, i don’t get what’s the uncertainty that they are talking about. Obviously the right hand drive is designed for the Asian community and it is not meant for US. Hope in the future, they made an updated version suitable for US market. Considering that this one is going to be sold in Thailand, then I think it would be a success, since SUV’s are really popular there. This can also be said here, so you might still get a chance. The right hand drive configuration is not really much of an issue, they can easily revise that on the plans before heading for manufacturing. But I agree with you that it will likely take time before it gets here. Since it is a right hand drive, we can’t expect to see this one anytime soon in the US. They will have to rework the design first in order to fit in to traffic here. Such a smooth and classic finishing both interiors and exteriors. With these companies bringing even the pickup trucks to the luxury sector, God knows what our near future will be, when the concept cars become a reality. BTW, Very nice model. Liked it. When it comes to the look there is nothing exceptional here. Yes, i was looking for the performance figures and the pricing. However, I’m not interested to buy one for i know there’s lot of reason to be doubtful. 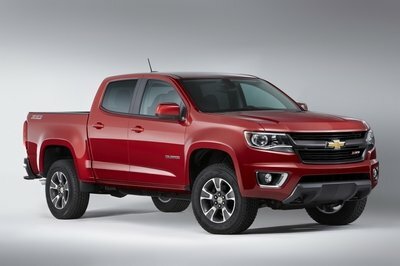 Well, it is likely that Chevrolet will bring the Colorado to the US market. For one, it would already be a sure success in Thailand. Also, it has features that will suit the American market.